Director Roger Corman’s second foray into the world of Edgar Allan Poe is a delightful mixture of gothic camp and the macabre. Led by the incomparable Vincent Price, the classically trained actor picks up where he left off in Corman’s 1960 effort The Fall of the House of Usher. Yet again, he’s in the role of an enigmatic aristocrat, chewing the scenery as Medina family patriarch Nicholas. When his wife mysteriously dies, her brother Francis Barnard (John Kerr) arrives at the Medina castle to find out why. 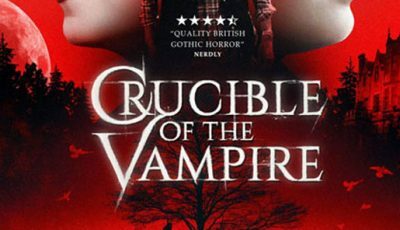 But his attempts to uncover the real truth behind his sister Elizabeth’s (Barbara Steele) passing is met by resistance. Nicholas firstly claims she died of a rare blood disorder but with his psychological state diminishing his assertions seem unreliable. Fittingly, this is contradicted by Doctor Leon (Antony Carbone) and Nicholas’ own sister Catherine Medina (Luana Anders) who agree that Elizabeth literally scared herself to death. Yet the presence of Elizabeth still lingers, such as the sound of her beloved harpsichord playing by itself in the middle of the night. Exhuming the body to prove her death reveals why Elizabeth might be rather angry in the afterlife. She was buried alive, confirming a ghastly theory Nicholas had. Further events such as noisy disturbances and the ransacking of her former room suggest her spirit remains at unrest. Perhaps Elizabeth’s ghost is out for revenge, or maybe there is something even more sinister going on. 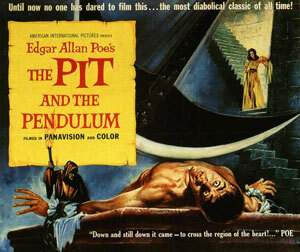 In many ways, The Pit and the Pendulum is very similar to Corman’s previous effort a year earlier when he adapted Poe’s The Fall of the House of Usher for the screen. The recognisable star remains the same, while the big, secluded house and the gothic styling typical of Poe’s work is again the setting for the ensuing horror. 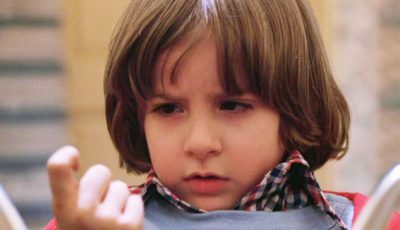 We also have the concept of underlying evil permeating through a family’s history. In Usher it was a cursed bloodline, in Pendulum it’s the fallout of torture and murder after adultery cripples the Medina family. Therefore, we are again in the midst of family strife, the interconnecting lives of different members of the group inspiring an enigmatic dynamic behind their motivation and subsequent actions. 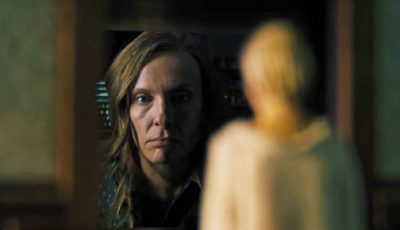 Not only does it provide intrigue but it promotes unease as every good horror film should. Where The Pit and the Pendulum improves upon its predecessor is down to Corman’s experience. Having adapted Poe for the screen once, he now takes those lessons and adds to them. If Usher was practice, Pendulum is the Championship run. Similar attention to detail is paid to the brilliantly realised production design (much of it cobbled together from old movie sets and redressed), all gloriously exhibited in cinemascope and in colour. But here Corman goes further – literally so in regards to the castle’s seemingly endless crypt that descends by staircase after staircase to the torture chamber and beyond. It is the embodiment of hell, accompanied by an assortment of devices to dismember and mutilate; the eternal torment. While the castle plays its part as the terrifying stage, Corman’s distorted flashbacks with their vibrant, contrasting colours and skewed camera angles add cinematic flavour to the tale of debauchery and murder. Significantly, it is his stylistic choices, notably his pronounced use of colour and the exaggerated movement of the camera along with experimentation in editing and musical cues, that influenced European horror in subsequent years, particularly the work of Mario Bava and Dario Argento. Yet again the director is helped by a seasoned actor clearly at home with the ghoulish material. Price is brilliant, exuding the qualities of a fragile widower but, like a time bomb, ticking relentlessly towards an explosive personification of long-buried evil. He has a knack for housing innumerable secrets that sit below an icy, detached exterior. When and how they are eventually revealed makes his performance even more riveting. While his pronounced mannerism has a knowing camp about its scene-chewing characteristics, it perfectly complements Corman’s equally conspicuous vision. Corman gets less joy out of the wooden Luana Anders and John Kerr but the same cannot be said of the brunette beauty that is Barbara Steele. The 1960s “scream queen” is particular eye-catching in glorious colour having made her breakthrough a year earlier in Italian director Mario Bava’s Black Sunday. She radiates from the screen, her pale skin framed by thick, black hair giving her a spectral elegance that belies monstrousness within. Corman has been coy about picking a favourite amongst his Poe work but you’d be unsurprised if he chose The Pit and Pendulum. He’s certainly mentioned a love of the film, a production he remembers fondly. 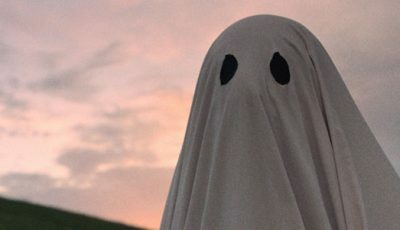 In making Poe’s story the third act of the film and adding substance before the thrilling conclusion, Corman has constructed a film where scale and ambition come together to deliver a “whole” that is more satisfying than any other from his collection of Poe adaptations. This might not be pure Poe, but it sure as hell is Corman at his very best.